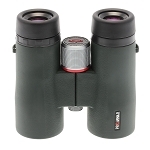 The 8x42 BD42-8XD PROMINAR Binocular from Kowa combines precision glass and prisms, with optical and prism coatings to produce a binocular that performs well in all light conditions with true color representation. Extra-low dispersion XD glass elements reduce chromatic aberration and image distortion at the edges of the field of view. 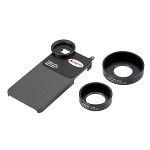 The lenses are fully multi-coated to maximize the amount of light coming into the optical tubes. The roof prisms are phase-corrected to increase the resolution and contrast, while the C3 coatings reflect more that 99% of the light moving through them. This combination of glass, prisms, and coatings produce high-contrast images that are bright and crisp, with true-color transmission. Box Dimensions (LxWxH) 8.6 x 6.2 x 3.0"
Reviews for these binos are rather limited. 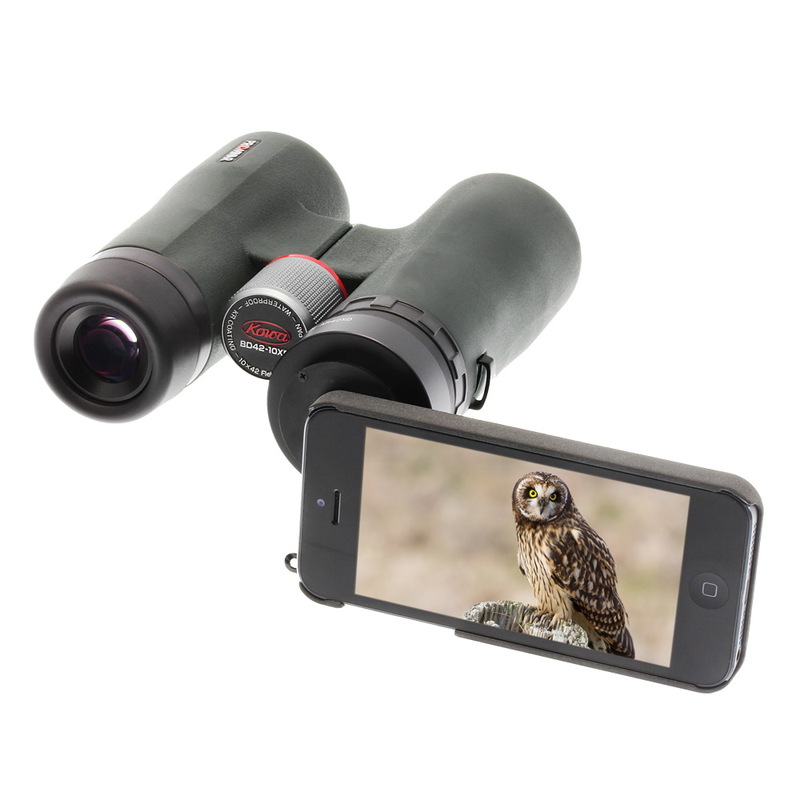 I purchased them based on my experience with my BD56-10XD binoculars. The first time I looked through these binoculars, I was amazed! I am a bit of an optics junkie. I really enjoy high end rifle scopes, binoculars, and spotting scopes. 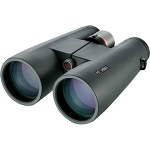 I will say hands down that you will not find a better pair of binoculars for the money than the Kowa BD XD series. 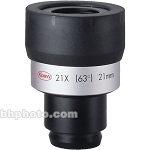 The image quality and sharpness of the 10X42 are on par with binoculars costing 2-3 times more easily. Edge to edge sharpness are very good. Images are bright and colors look natural. Build quality is top notch. These feature a magnesium housing with rubber armor, and feel sturdy and substantial. The 10X42 are also smaller than most 10X42 binos, and fit the hand very well. If you are in the market for a new pair of binoculars, do yourself a favor and purchase either the BD42-8XD or BD42-10XD binoculars. 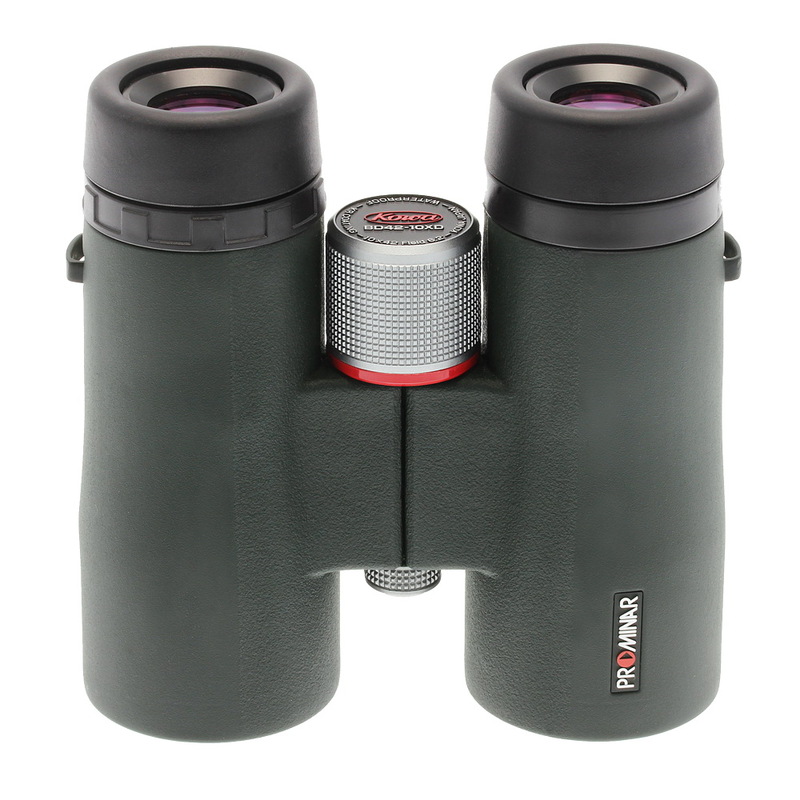 I have yet to look through a pair of binoculars in this price range that come close to the Kowa BD XD Prominar series, and they compare very well to binoculars costing much more. The new range of 'BD XD' binoculars are a leap into the extreme-performance end of the market for Kowa, with all XD's now up to the highest 'Prominar' specification alongside their top series scopes.